CyberpowerPC announced its Gamer Xtreme series is now available with Intel's Core i7-3000 "Sandy Bridge-E" series processors. CyberpowerPC, www.cyberpowerpc.com, a leading manufacturer of custom gaming desktop PCs, gaming notebooks, and performance workstations, today announced a new series of enthusiast gaming PCs based on Intel's 2nd Generation Core i7-3000 Series CPUs (code named Sandy Bridge-E) and X79 chipset motherboards. CyberpowerPC gaming systems receiving the new CPU makeover includes the Gamer Xtreme 3D series, the FANG EVO Black Mamba and Cobra as well as its award winning Gamer Xtreme XE and XI systems. The series will include the flagship Intel Core i7 3960X (3.33Ghz and Turbo Boost up to 3.9Ghz), and the Core i7 3930K CPU (3.2Ghz and Turbo Boost to 3.8Ghz) to deliver unmatched performance, the ability to customize your rig, and features that put you in control of the action. CyberpowerPC's new Core i7-3000 series gaming PCs are geared to gamers, PC enthusiasts, and content creators who live to push their systems beyond the limit with extreme gaming capability, amazing multimedia, easy overclocking, and the ultimate in flexibility. Intel assures users an enhanced experience with the new power packed CPUs that deliver maximum speed for multi-display gaming, mega-tasking and high-def content creation. With a killer combination of features that includes Intel Turbo Boost Technology 2.0, Intel Hyper-Threading Technology, integrated PCI-Express I/O to support discrete graphics, and superior overclocking capability, the ultra-threaded 2nd generation Intel Core i7 processor Extreme Edition is flexible and powerful. It's the ultimate weapon for gamers who demand unmatched PC performance. CyberpowerPC's Gamer Xtreme PCs can be customized with a number of cooling options including CyberpowerPC's Advance Hydro Liquid Cooling kit featuring 240MM or 360MM radiator solutions, CoolIT ECO-II liquid cooling, and Asetek 500 series liquid coolers. Users will also be able to overclock their already blazing Sandy Bridge-E gaming PCs with CyberpowerPC's Venom Boost service that will crank the CPU up to an additional 30%. 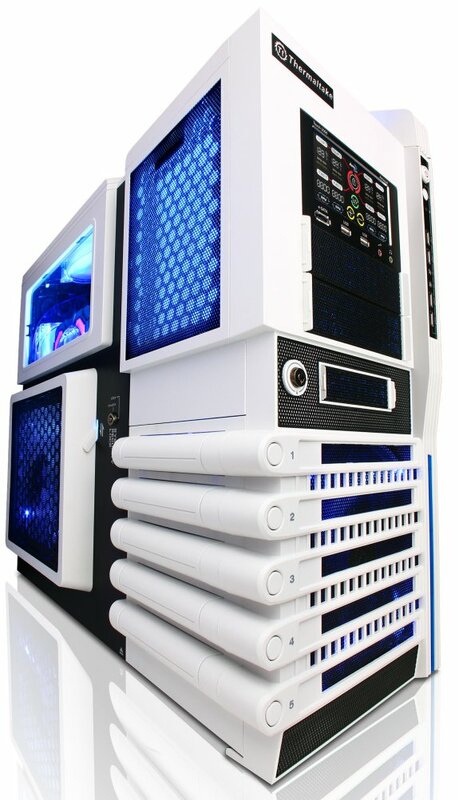 Additionally, users may configure the Gamer Xtreme with other extreme performance hardware and components such as Solid State Drives, Blu-Ray drives, gaming memory, and more at the company website, www.cyberpowerpc.com. Prices for CyberpowerPC gaming systems powered by Intel's 2nd Generation Core i7-3000 Series CPUs start at under $1200. Additionally, CyberpowerPC loads every system with Microsoft Windows 7 64-bit Operating System with Service Pack 1 to enhance your gaming and multimedia experience and includes an industry-best-3 year limited warranty and free lifetime phone support.